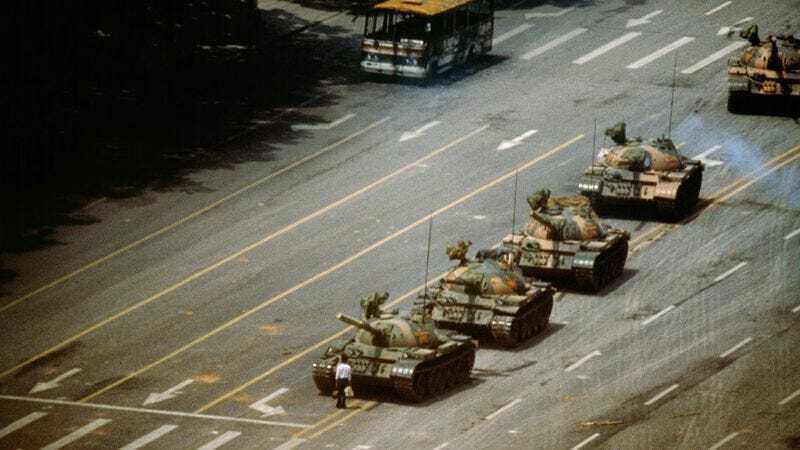 Who could forget this iconic photo of Tank Man from the Tiananmen Square protests? The world was captivated by the image of one man standing face-to-face with a column of tanks, completely exposed. Well, it may have taken 26 years, but the internet is making things right—Tank Man is finally getting his very own tank! People around the world were moved by Tank Man. He faded from view shortly after the famous photograph was taken, but three weeks ago the internet came together to track him down and get him a tank. Within 48 hours the Kickstarter was fully funded, including stretch goals for a helmet and an extra set of treads. Now, an army surplus tank is on its way to fulfill a worthy mission! So far, internet users have been unable to find Tank Man, but we’re assuming that it’s only a matter of time before he comes forward to collect his brand-new tank!